Our Responsible Sourcing/Vendor Partnership Program (RSVP) is designed to support projects that we believe will lead to a more sustainable future. The purpose of this program is to fund a variety of stewardship projects that support the protection of our most precious of ocean resources. RSVP collectively applies a certain percentage of our purchases to these initiatives. 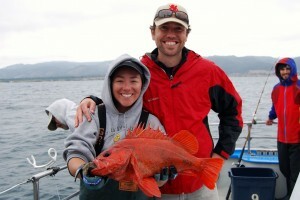 We work closely with our colleagues at FishWise to vet and select RSVP funding recipients. FishWise promotes the health and recovery of ocean ecosystems by providing innovative market-based tools to the seafood industry. 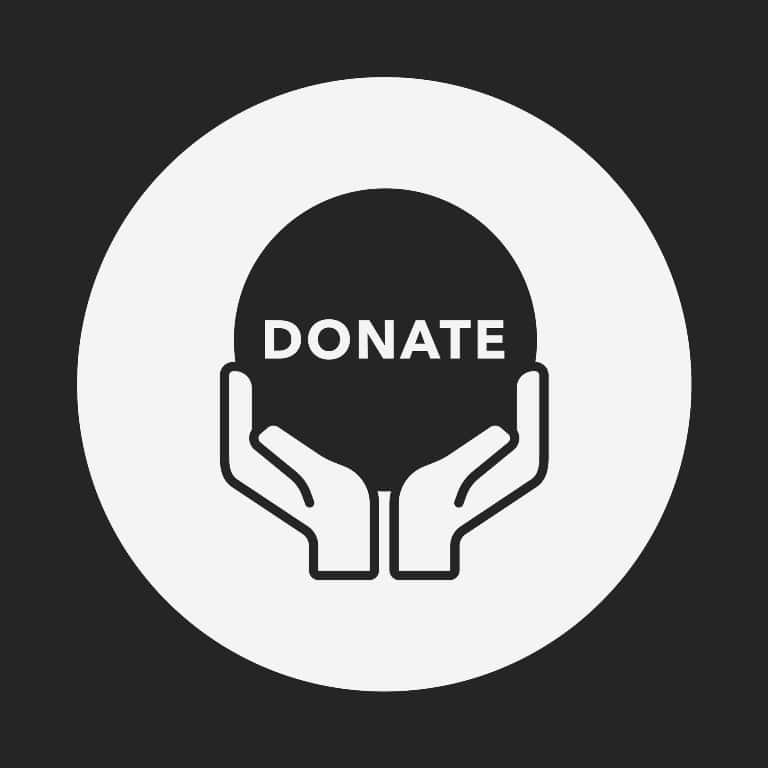 The organization supports sustainability through environmentally responsible business practices while helping us stay connected to the projects we fund. To learn more about FishWise, visit their website. The key to our program is participation. That means we are engaged not just with issues of sustainability but also actively engaged in educating both our customers and vendor network relative to the issues the seafood industry needs to courageously face. RSVP funding also helps Santa Monica Seafood identify, qualify and verify new (and existing) suppliers. We are vested in making sure that every entity with which we do business shares our commitment to food safety, supply integrity and sustainable practices. Such investment in the supply side of the equation provides both continual assessment as well as gaining valuable insights we can, in turn, pass along to our customers. 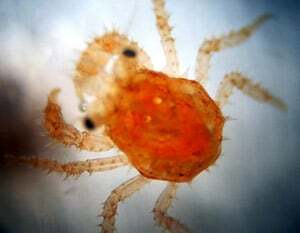 The Alaska King Crab Research, Rehabilitation and Biology (AKCRRAB) Program is an Alaska Sea Grant partnership with regional fishermen’s groups, coastal communities, NOAA Fisheries, the Alutiiq Pride Shellfish Hatchery and Chugach Regional Resources Commission, and the University of Alaska Fairbanks, School of Fisheries and Ocean Sciences, to conduct a research program aimed at hatching and rearing wild red and blue king crabs in a large-scale hatchery setting. AKCRRAB’s mission is to understand the large-scale culturing needs of wild red and blue king crab stocks, and to perfect strategies for hatching and rearing king crab to a stage where they can be released into the wild and contribute to reversing low wild stock abundance in Alaska. The Pacific Leatherback sea turtle is at a pivotal point in conservation efforts: as the largest of all seven species of sea turtles, it is listed as critically endangered on the World Conservation Union’s IUCN red list, and in the last 25 years its populations have declined a staggering 80-90%. Due to poaching of eggs, coastal pollution, entanglement in abandoned fishing gear, among other factors, the Leatherback sea turtles need protection now more than ever as declining populations are a serious factor in the survival of this species. The Bird’s Head Leatherback organization focuses on research and conservation of Leather backs on the remote northwest coast of Papua Bara, Indonesia. The Bird’s Head peninsula is home to two main nesting beaches for Leatherbacks, this area holds the largest population of leatherbacks in the Pacific Ocean. BHL is involved in monitoring Leatherback nests and tagging for research, as well as engaging the local communities in taking active roles in leatherback conservation and monitoring. The CCFRP is a collaborative effort among researchers from CA Sea Grant at Moss Landing Marine Laboratories (MLML) and SLOSEA / Center for Coastal Marine Sciences at Cal Poly San Luis Obispo as well as the captains and crew of 15 commercial and CPFV vessels in central California. For the past six years, CCFRP has been conducting collaborative fisheries projects on local commercially important species through collaborative hook and line tag and release surveys and commercial live trap fishery surveys. 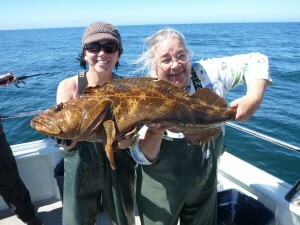 The species of interest include nearshore rockfish species, California halibut, cabezon, lingcod, ocean whitefish and Pacific bonito. The CCFRP utilizes the expertise of both scientists and fishermen to better understand the health of fish stocks and marine ecosystems in California. Comunidad y Biodiversidad (COBI) partnered with the fishing Cooperative of Magdalena Bay (CBM) and the non-profit recreational diving organization Reef Check to establish a 1,384.73 ha Magdalena Bay Marine Protected Area (MPA) in 2010. The MPA was established with the intention of recovering the declining abalone, spiny lobster, and finfish populations that the local cooperative depends on. The Reef Check Foundation trained the cooperative members in scuba survey methodologies to monitor and assess the recovery of the marine community within the reserve. Reef Check and COBI have furthered their involvement with CBM to help the fishermen involved to establish a fair market for their catch as well as to improve their supply chain management. The intention of this project is to create a new source of sustainably caught finfish and shellfish for Southern Californian and Mexican markets, to ensure the protection of the marine environment, and to benefit the communities of Magdalena Bay. As one of the oldest and strongest fishing cooperatives in Baja, CBM is setting an example of how ecologically beneficial practices will improve business and benefit the community. COBI continues to work with other Baja California fishing communities on establish voluntary marine reserves for the benefit of their resources. Trawling has historically been the most common fishing method employed in our U.S. rockfish and flatfish (groundfish) fisheries. Unfortunately, there are some serious environmental drawbacks to trawling: bycatch and habitat damage. Some trawlers have been able to switch to hook and line gear, and this has led to important conservation gains. However, some species are only economically caught with a trawl, and as a result it is clear that use of the gear will continue. Fathom Consulting helps trawl fishermen strategize ways to minimize bycatch and damage to sensitive bottom habitat.Â Working with a trawler out of Monterey, Fathom Consulting is conducting trials with modified trawl gear that significantly reduces the points of contact of traditional trawl gear. Preliminary results are encouraging – ultimately leading to a fresher and more environmentally responsible product. 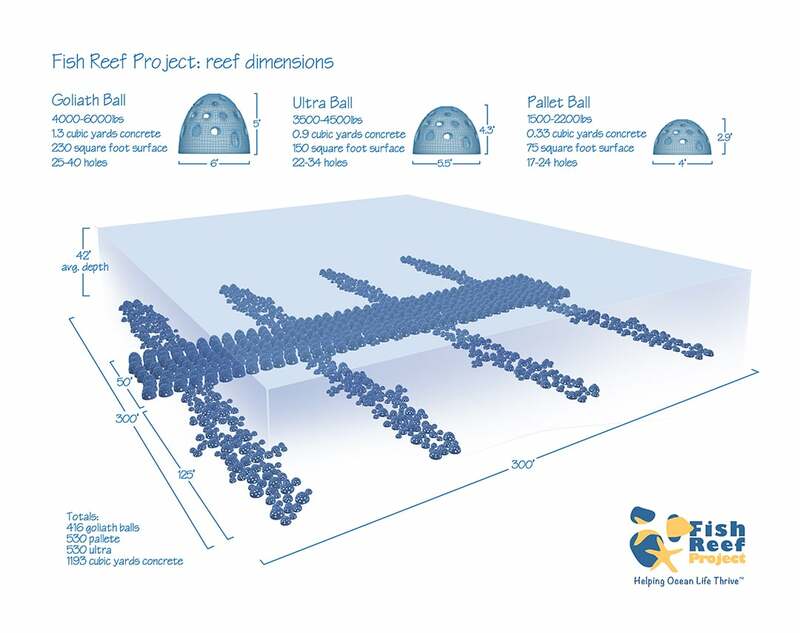 The Fish Reef Project is helping to restore damaged natural reef systems and turn empty seafloors into thriving marine ecosystems by introducing artificial reefs into the marine environment. “Reef balls” are designed to enhance communities of marine mammals, sea birds, turtles, fish, and invertebrates as well as provide eco-tourism and fishing opportunities. The dome-shaped structure is riddled with holes to enable organisms to shelter and propagate, and the porous surface of the concrete balls enables kelp and invertebrates to attach themselves and begin growing, in turn attracting more life and ultimately establishing a small reef ecosystem. Thanks to the work of the Fish Reef Project, new temperate reef habitats are being created in Southern California. The ultimate goal of the project is to create two separate five-acre artificial reef systems off the coast. Situated within 10 miles of several harbors, the new reefs created areas for fishing opportunity while reducing pressure on other heavily fished locations nearby. 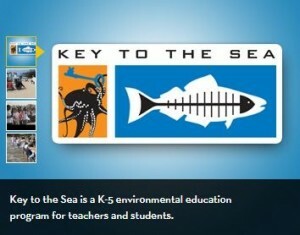 Key to the Sea is a program for teachers and K-5 classrooms in Los Angeles County conducted by a local Santa Monica non-profit, Heal the Bay. The program includes engaging hands-on activities for students, including a field trip to the beach and partnering aquariums, as well as no-cost professional development opportunities for teachers. Marine conservation, ocean pollution solutions, and sustainable and safe seafood are all sections of the curriculum provided to teacher participants. This program not only provides a unique opportunity to students and teachers of budget-deprived schools throughout LA County, it also plants the seeds for future knowledgeable seafood consumers. Founded in 1963, HSWRI conducts research in the tradition of world-renowned scientists, Dr. Carl L. and Laura C. Hubbs and is an effort to achieve a balance between more traditional fishing, supported by stock replenishment and farming. The HSWRI project is comprised of three separate programs; hatchery, grow out and monitoring. A separate program sends Hubbs biologists and volunteers to commercial white seabass landing areas all along the coast to collect heads. The heads are scanned with a metal detector and if they find a tag, they remove it to read the numbers. 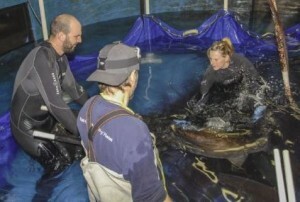 In this manner they are able to determine survival rates, program efficacy as well as how far the fish travel from their release sites and how fast they grow. This is the nation’s largest marine fish enhancement program, the only one on the West Coast and is 100% supported by fishing stamps, state grants and private donations. Slavery in the seafood industry, primarily in Thailand and Indonesia, has been THE hot topic in the news lately. Logan Kock, our VP of Responsible Sourcing, recently got wind of a humanitarian effort to rescue a group of 300 fishermen stranded on a few islands in Indonesia. These fishermen had been abandoned by fishing vessel captains who had tricked, kidnaped and imprisoned these impoverished people to live and work on their fishing vessels, sometimes for up to 6 years without returning to shore and typically to help support illegal fishing activities, until such time that they became malnourished and sick, at which time they are dumped on remote islands and left to die. Logan convinced Michael Cigliano, our Executive VP, that Santa Monica Seafood should use its RSVP fund to wire money to Seafarers Action Center, a Labor Rights Promotion Network to support this humanitarian rescue effort to assist with emergency provisions of food, necessities and, in particular, medicine to help these victims of human trafficking. So, we did. Santa Monica Seafood not only recognizes the extent to which this human slavery problem exists but also understands every member of the seafood supply chain bears responsibility to help bring it to an end. We urge fellow industry members to join us in the fight to end such inhumane practices. 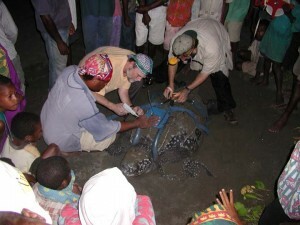 Papua New Guinea is one of last strongholds for trans pacific migrating leatherbacks. The other is neighboring Indonesia. To protect these critically endangered species a community based conservation organization was established in Papua New Guinea in 2006, named Makata, whose name means “Sea Guardian” in the local Bel or Takia languages of Madange. Makata works with coastal and indigenous island communities in the Bismarck Solomon Seas to restore and protect the critically endangered leatherback turtles. Their efforts involve protecting nesting beaches and marine waters and helping to maximize hatchling production. They also have facilitated educational awareness programs, media campaigns, community development trainings, resource mapping and boundary survey with within their local communities. Makata believes that an informed and educated community will take active roles and be prudent guardians of their resources. These communities have so far been able to protect turtles that have come to nest on their beaches as well as implement a tagging and monitoring project in 2009. With the restoration of the nesting turtle populations the local communities have also benefitted from local and international tourism. Blue swimming crabs are one of America’s favorite seafood and the main ingredient in Maryland crab cakes. Due to dwindling catches in the U.S. combined with growing demand, the majority of the crabmeat consumed in the U.S. is imported. 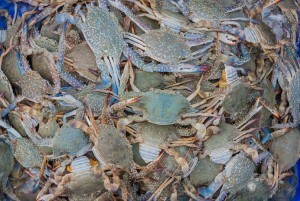 The Crab Council was created in 2008 and incorporated as part of the National Fisheries Institute (NFI) in 2009 to provide a common voice for U.S. companies and suppliers committed to supporting producers and exporters worldwide to advance sustainability efforts for the blue swimming crab. The Crab Council is comprised of 11 U.S. companies who represent 60% of the market that source blue swimming crabs from Asia. 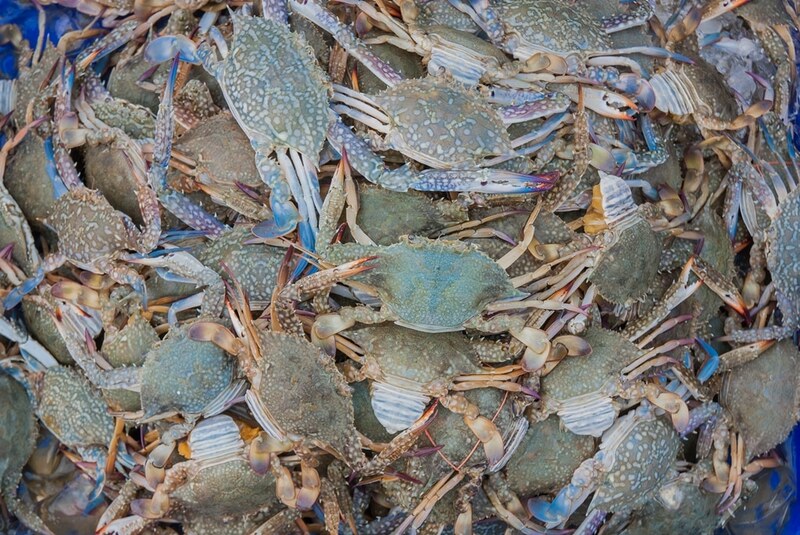 Working together with Sustainable Fisheries Partnership (SFP), NFI is encouraging sustainable fishing practices for blue swimming crab in Indonesia and the Philippines by supporting management improvement plans, such as limiting catch size and enforcing release of mature females. The improvements help to ensure the longevity of this fishery while maintaining a healthy ecosystem. 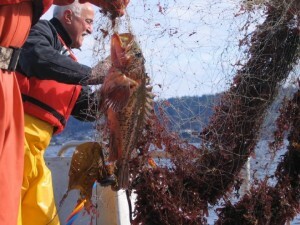 The Northwest Straits Initiative (NWSI) Derelict Gear Removal Program preserves fish stocks and local wildlife in Puget Sound and the Salish Sea by working to remove abandoned or lost fishing nets and crab/shrimp pots. It is important to remove “legacy” nets to prevent ghost fishing – the phenomenon of abandoned fishing gear continuing to ensnare wildlife. To date, the program has removed thousands of nets and crab/shrimp traps. Removal of lost gear helps prevent the loss of salmon, dungeness crab, bottom and forage fish, and other non-commercial wildlife – providing a benefit for local tribal fisheries as well as the thriving multi-species commercial fishery in the region. Operation Blessing is an international non-profit humanitarian organization who partnered with Caribbean Harvest (Haitian charitable foundation) to establish a tilapia farming program that will provide food and sustainable incomes for Haitian families. Families receive a starter kit ($1000 value) containing a floating metal cage, 2,400 fingerling tilapia, and a four-month supply of fish food. Caribbean Harvest’s staff conducts initial training to the families on how to raise the fish and then provides ongoing weekly oversight. 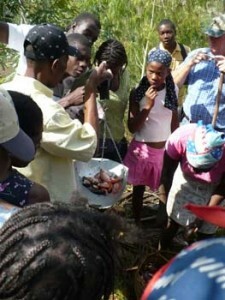 Fish harvested provide food for the farming families and can be sold commercially to supplement incomes. The project helped to provide an additional source of income for fishing families living around a lake with a depleted wild fishery. Consequently, the program helped support communities otherwise in decline and allowed for more sustainable livelihoods. Working in conjunction with NOAA, PIER is developing and testing an experimental gear type to be used in the swordfish fishery. Recent studies conducted on preferred depths that swordfish feed at have been used to design a type of gear that targets the fish at specific depths, minimizing bycatch concerns inherent to the longline fishery. This type of gear is already in use on the east coast, and may expand the current fishery into new areas that are currently off-limits due to bycatch concerns. Support of this project will ultimately ensure a greater supply of responsibly harvested local swordfish at a lower price than the harpoon fishery. 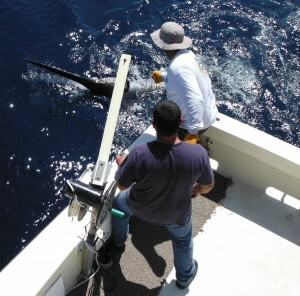 Watch the PIER team tag swordfish using deep-set buoy gear in southern California. 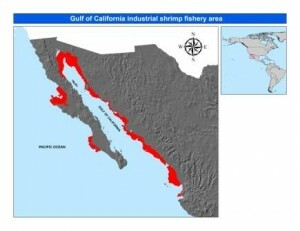 The Sustainable Fisheries Partnership’s (SFP) Gulf of California (GoC) industrial shrimp ‘fisheries improvement project’ (FIP) is working to promote the use of gear that diminishes the environmental impacts of the yellowleg, pacific blue and whiteleg shrimp trawl fisheries. The GoC industrial trawl shrimp fishery in the northwest Pacific coast of Mexico is resulting in the wasteful discard of endangered sea turtles, totoaba (a sea bass found only in the GoC), and seahorses as well as having lasting impacts to seafloor habitats. 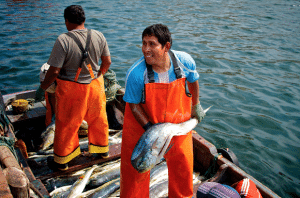 The SFP industrial shrimp FIP is helping to reduce these negative impacts as well as encourage better management and regulation of the fishery from the Mexican government. 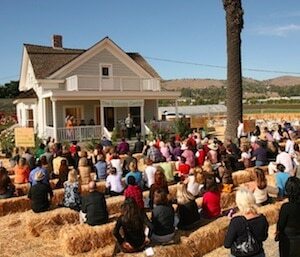 The Ecology Center, a 1 acre nonprofit hands-on educational center based in nearby San Juan Capistrano, CA, is about to install an sample backyard aquaponics system demonstrating the potential for small-scale backyard aquaculture, sustainable seafood, and organic vegetable production. Located within their geodesic dome greenhouse, the system will contain a 200 gallon stock tank, carry 100 tilapia (of the non-Nile variety), water pump, heating system, biological filter and vegetable growing beds. Throughout the year, they will be holding seasonal educational workshops on backyard aquaculture/aquaponics and sustainable seafood. This program will help bring a greater awareness of sustainable seafood to the public, and can help show how aquaculture is a necessary system for producing food in the future, on both a local and global scale. Malnutrition has been a chronic problem in Haiti for many decades, and there has been an urgent need to train Haitians in sustainable aquaculture methods whereby they can produce nutritious food using the resources they have available to them. Aquaculture Without Frontiers (AWF) is an independent non-profit organization that promotes and supports responsible and sustainable aquaculture in the alleviation of poverty by improving livelihoods in developing countries. Aquaculture Without Frontiers’ partnership with The Marine Biological Laboratory (MBL)’s Sustainable Aquaculture Initiative (SAI) has been involved in efforts to enhance tilapia production in 50+ concrete ponds constructed in the Cormeir area of Haiti. Originally these ponds were to produce fish using imported feed, but it proved too costly to be sustainable. Then Marine Biological Laboratory subsequently proposed to supplement their successful periphyton-based feed in extensive cultured fishponds with semi-intensive methods to meet dietary needs that extensive methods cannot meet. 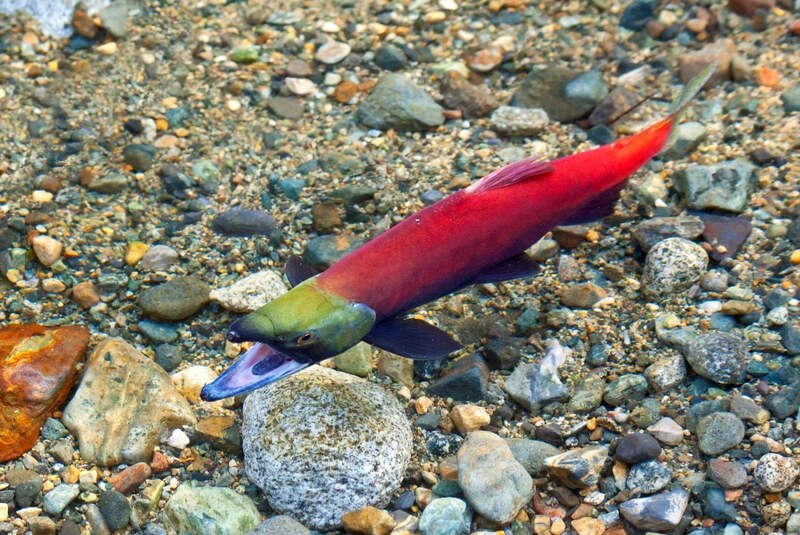 As one of the last pristine freshwater habitats for wild salmon, Bristol Bay supports the largest sockeye and king salmon runs in the world along with healthy runs of Coho, Pink, and Chum salmon. Thanks to sound fishery management and intact habitat, many scientist and fishery managers have pointed to Bristol Bay as a model for other fisheries around the world. Despite the many values of Bristol Bay, it still faces real threats from a proposed mining development in the headwaters of Bristol Bay’s most productive salmon rivers and lakes. Trout Unlimited, one of the nation’s largest and oldest coldwater fisheries conservation organizations, along with local Bristol Bay Native tribes and corporations, commercial salmon fishermen, seafood processors, and others around the country are working together to ensure that Bristol Bay’s fishery gets the protection that it deserves so that future generations may enjoy this irreplaceable source of healthy and delicious wild salmon. 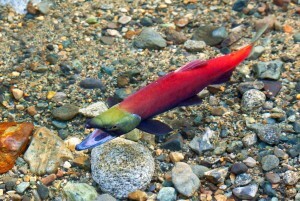 Some of Trout Unlimited’s research projects helped document, map, and characterize essential salmon habitats in the Bristol Bay region of southwest Alaska (near the Lake Clark National Park & Preserve) and helps guide state and federal agencies in their management of Bristol Bay’s fisheries and protection of critical salmon habitat into the future. Peruvian mahi mahi is an important fishery for us and the rest of the United States market. However, mahi mahi is typically fished with surface longlines baited with thousands of hooks, which can result in bycatch especially of endangered sea turtles. 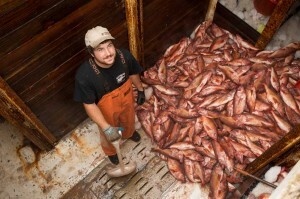 A monitoring program is needed to know if bycatch of other species, such as sea birds, is also an issue in the fishery. The fishery also needs improved management of the resource and monitoring to ensure that the fishery’s existing regulations are being complied with. Still in the early phases of development, some of the Peruvian mahi mahi FIP activities will address these bycatch and management issues.